I bought this Liberty of London for Target pillow for $3 - a bit high for me I was thinking of leaving it, but then I realized I considered paying full price for those pillows when they first were released. It came with the pillow insert, I threw that away. He was like this for a full minute - so still. Agh I love him so! Why yes, I did watch the latest Pirates of the Caribbean movie! FYI while the plot and everything was great, seeing it in 3D was hardly worth it - the movie was literally dark most of the time, I could barely see what was happening on screen. Hmm I just realized how negative this sounds, I didn't mean it to (or is it too ?). This Spring Green Butter Tub was $2.99. It has a plastic lid! At first I wasn't sure if it was for the same piece, but the lid does say, Pyrex 75-PC Corning. It was a Spring Blossom kind of day. 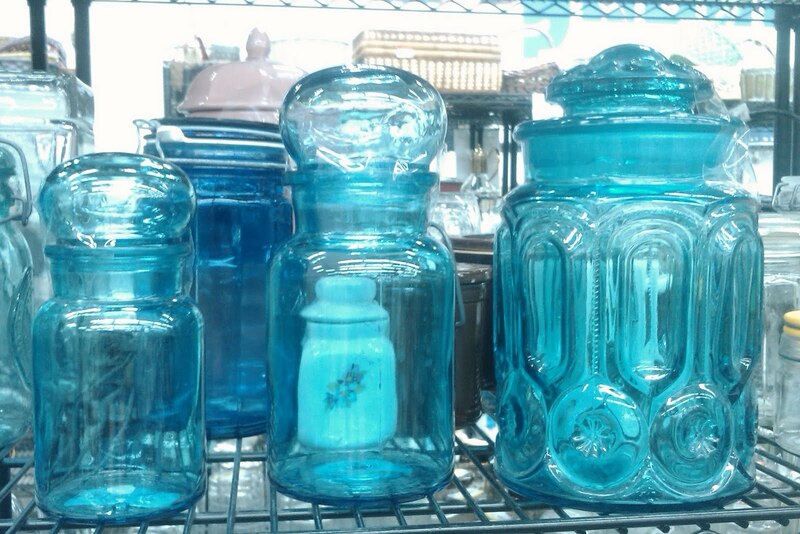 At a different thrift I found these two small casserole dishes. The 1.5 pint was $4 and the 1 pint was $3.20. I scored this Early American divided casserole dish for only $2! I felt a bit bad leaving this Golden Acorn divided casserole dish behind, but it was $7.99 I am trying to control my spending. 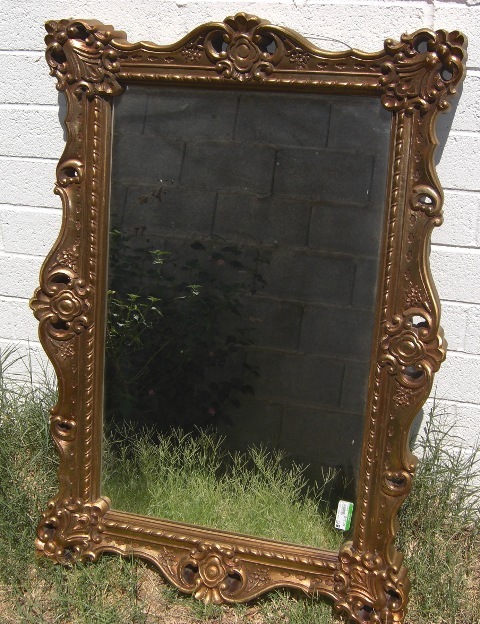 Not that $8 would blow my invisible budget, but I am really really trying to have some self control. I spotted this Old Orchard dish, it was only $4 + it had a holder & lid..... but I think it's ugly so it stayed at GW. I also spotted a Forest Fancies dish, another ugly Pyrex -sigh- why couldn't I have found one of the other million patterns I love? These brightly colored pillows immediately caught my eye. I guess I could have just gotten rid of the inserts and kept the covers, but they were $5.99 each - at that price I really don't need any more pillows. I also got some vinyl: The Worst of Jefferson Airplane, The Best of Carly Simon, Let It Bleed - Rolling Stones, and a near perfect condition Born to Run - Springsteen (personally not my thing, but maybe I could trade it somewhere) 80c each. Spray paint for 97c each! I got canary yellow, sunset orange and pure white in gloss. I guarded that case with my life while I waited for a worker to come and open it. I also picked up some acrylic paint in green and pink for 10c. I went to an of Montreal show Sunday. Everything was amazing, I was serenaded by Kevin Barnes. It was the most fun I've had at a show in a long time. If you get a chance to got to one of their shows - GO! You won't regret it I promise. This is a better picture of the actual color. It's a bit limey looking above. It's hanging above my bed (I was afraid it was going to fall and crush my head in while I slept, so I slept the opposite direction the 1st few nights, who needs feet anyway? (FYI the reason it's there is because I have no empty wall space)) I am definitely going to repaint it sometime soon. 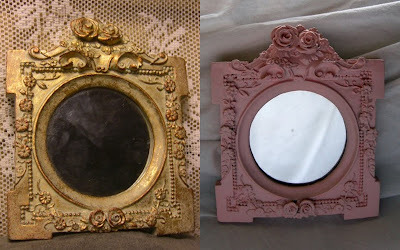 I thought I would keep with the frame theme and post some other frames I have picked up at thrift stores. Here at the two frames I got the same day as the giant pistachio disaster above. 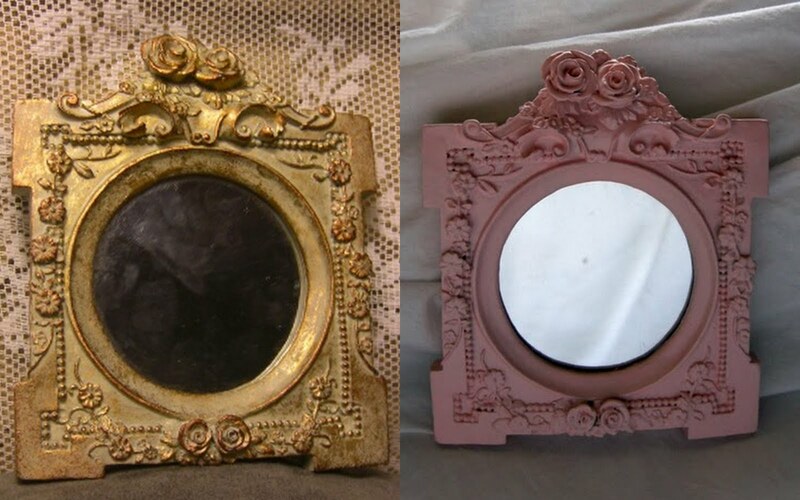 These Hollywood regency-esque mirrors were $2 each and I didn't have to do a thing to them. 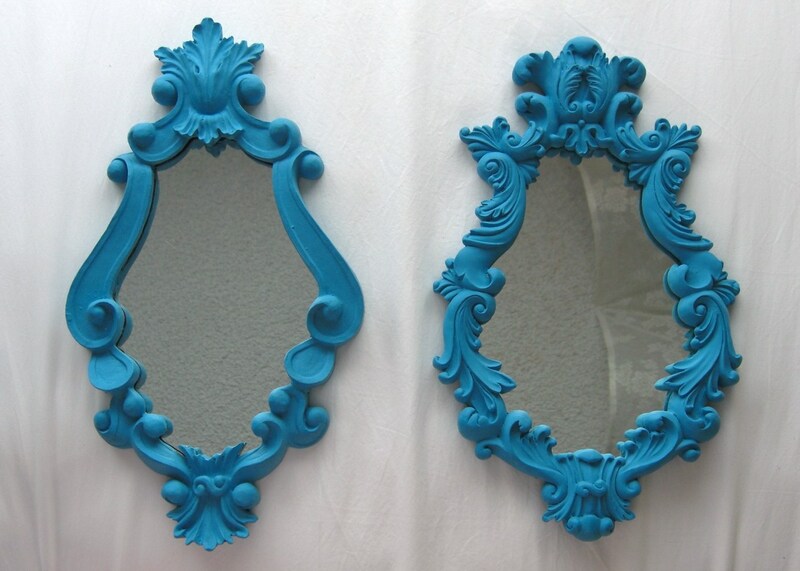 These two mirrors aren't identical but I got them at the same thrift. They were originally cream and dirty. I used turquoise acrylic paint. 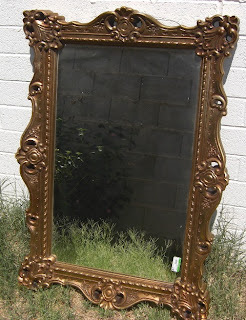 I have a ton more thrift (picture) frames. 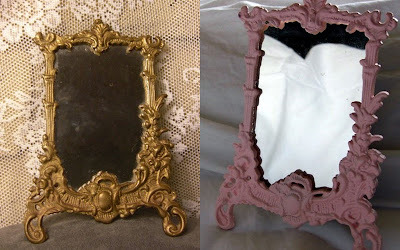 I spray painted them all white and quickly became tired of all the white, that's why all the frames above are different colors. 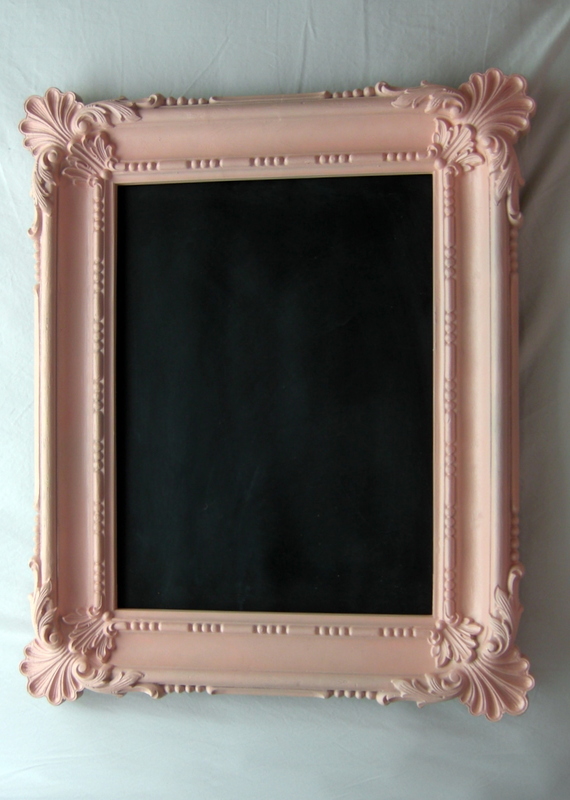 I think that frames are some of the best and easiest things to find at thrift stores. 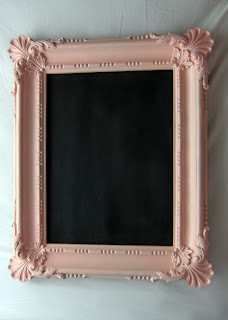 Even though my philosophy is to stick with the ornate, I am still overwhelmed with all the frames I have. I forgot to mention, school went swimmingly. Only one more semester and I will be done, I cannot express the relief. It is almost over! Maybe I'll make a post of all my old careplans & writing projects for any new nursing students. I know when I 1st started I wanted to see some actual examples and couldn't find any. 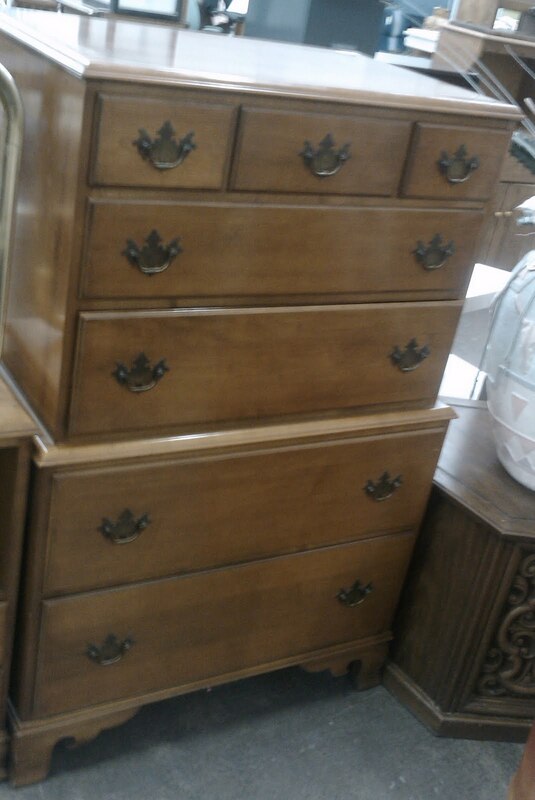 This chest, while nice and in pretty good condition, was $200!? The only explanation I can think of is that they are hoping to get $100 for it on Saturday when everything is half off. This town & country pattern Pyrex bowl was $8. I just wasn't into it for some reason. 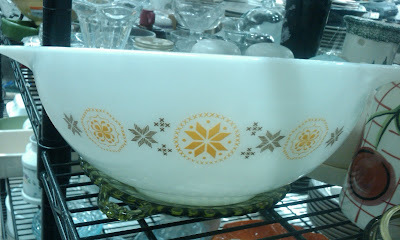 There was also this very chipped & faded solid color set of mixing bowls, the smallest piece was $6 - crazy. This pretty butterfly gold pattern Pyrex with lid. It was only $5.99. Chino & Milo (that's him in the picture) are two of my four cats. I am nursing student (graduating in December) in my early twenties. I am always on the hunt for a great deal. 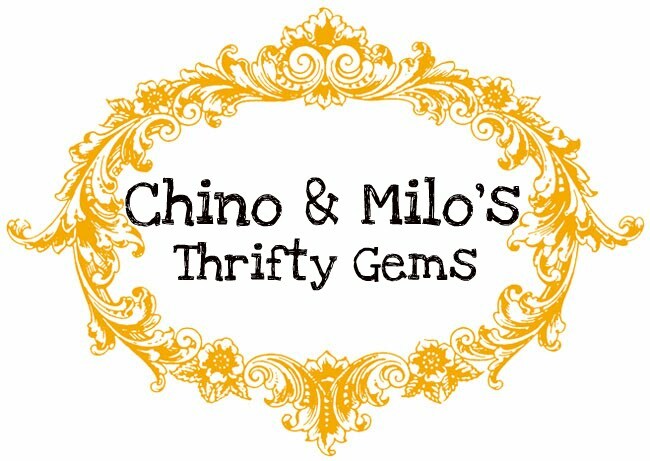 I hope to use this blog to showcase my thrift store finds, coupon shopping trips and who knows what else.